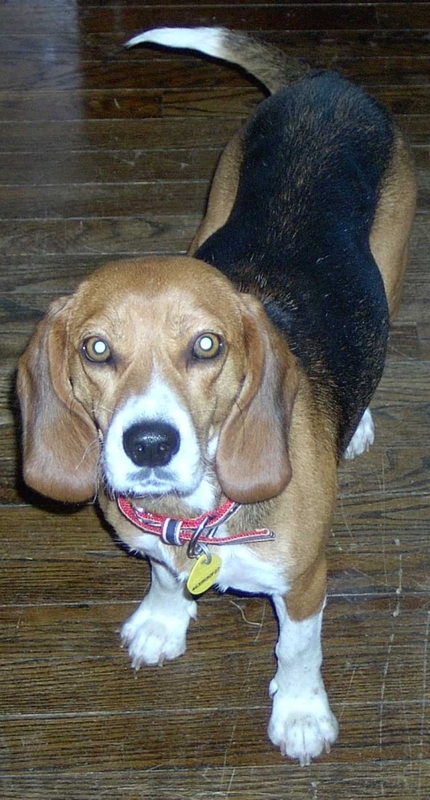 Five years ago today, we got our second dog, a Beagle mix we named Tera. She was named for a mathematical prefix that means 1,000,000,000,000 - think of a terabyte hard drive. We got her from the animal shelter. She had been a stray and was malnourished. She's healthy and happy now.